See the Island on the map: South East South Australia Map. Kangaroo island, covering over 4,500 sq. kms., is a beautiful natural place with diverse flora and fauna that had escaped the ravages of fox, rabbit and human population since the 1800s. The weather tends to be moderate compared to the mainland inland regions even in winter and summer. In the Spring, Kangaroo Island blooms with wild flowers. Occasional sea breezes make wind proof clothing neccesary. Wildlife here is abundant with grey kangaroos, wallabees, possums and bandicoots to mention a few and over 850 species of plantlife. Very few of the predators and plants introduced to mainland Australia have made it to the island, combined with the sparse population, so the whole area is very much as it was before settlement. At Kingscote and Penneshaw you have the chance to sight fairy penguins in the evenings. 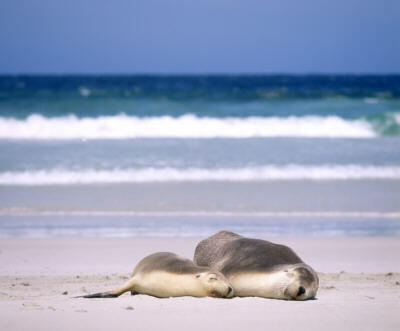 At Seal Bay, there is a colony of Australian Sea Lions. 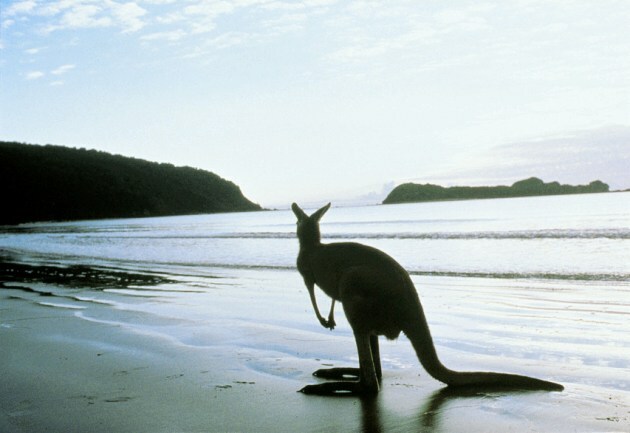 You can find a variety of kangaroos and wallabies at Flinders Chase National Park. The original aboriginal inhabitants are thought to have disappeared over 2,200 years ago and although the reasons why remains shrouded, there is much evidence of their original habitation. Named Kangaroo Island by the early colonial explorer Matthew Flinders, the first white settlers included by sealers, whalers, escaped convicts and ship deserters. A rough lot, they gave the island a bad reputation in the British Empire till it was more or less cleaned up in 1827. On the south coast, there are some eighty shipwrecks that have foundered there, by the fierce conditions of the Southern Ocean storms. Activities on the island include horse riding, swimming, surfing, scuba diving and fishing. Walking tours are available in various places exploring the natural beauty and wildlife of the island. There is no public transport available on the island, tours of Kangaroo Island are a good way to see the many places worth visiting. If travelling by car, bear in mind, not all roads are sealed. There are a number of ranger guided tours and walks such as the one at Seal Bay, showing the seal lions in natural habitat. Fishing charters are available, scenic flights, sheep shearing, various industry tours and there are a number of package tours available from Adelaide itself. Many of the farming islanders have turned away from the conventional cash crops such as wool, barley and wheat and now produce delicious naturally fresh fruits and vegetables. The Kangaroo Island free-range poultry is famous for its corn fed plump birds and is featured in restaurant menus around Australia. Being an island also means the seafood available is fresh. While there, sample the jams, pickles and jellies made from locally grown produce and wild ingredients, they are simply delish. 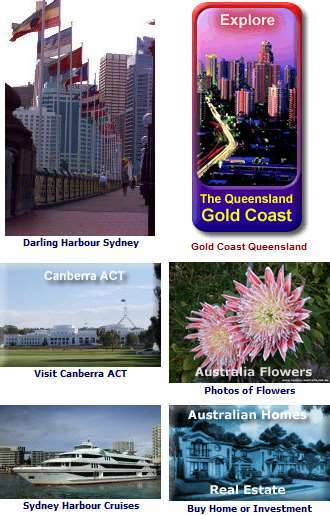 There are a number of hotels, motels, hostels and guesthouses available at Kingscote and Penneshaw. Self contained apartments and units, as well as bed and breakfast are available in scattered places around the island.